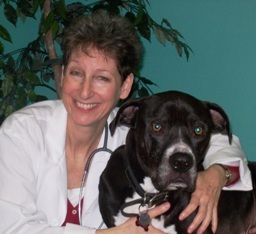 All Things Dog Blog All Things Dog Blog: Ask the Vet, with Dr. Pat:Safe or Overreacting? Muffin and Cupcake each started their tummy issues within a few days of one another. I thought they might be related, and was worried I could end up with 4 sick dogs. Nothing turned up in their tests so they got antibiotics and anti-diarrhea food and anti-nausea drugs. I questioned the need for antibiotics and asked about over the counter diarrhea and nausea medicines, but she assured me that veterinary drugs were more "efficasious". (Did I spell that right?) I still have my doubts. When both dogs were fine by the next morning I wondered if I over reacted. I could have saved the $230 if I knew more about what to do to help them. Can you give me some safe advice to use in this situation. It has happened before and turned out to simply be something they ate that didn't agree. Well, Karen, you’ve touched on a problem that I believe may be at the crux of the health care crisis in America today: FEAR. When we’re feeling fearful, we aren’t thinking at our best, and may take actions we later regret. We’ve become terrified not to go to the doctor and take medications for almost any health problem. But then often the diagnostic procedures and medications themselves cause problems for which we need to take additional medications. And then we can’t tell whether the additional problems are from the medications or from the disease. It can get confusing and complicated and very expensive in a hurry. The first time we see a problem with one of our animals, it may be best to err on the side of being overly cautious and take them to a doctor for a diagnosis. But once we get some information, many things can be treated at home. One way to greatly improve our confidence is to -- like the Boy Scout motto says -- “be prepared”. And being prepared, for Muffin and Cupcake, means knowing some simple ways to treat diarrhea at home. Have some things on hand, or at least make sure you have quick access to them. As luck would have it, I covered some of these in a previous post on this blog. 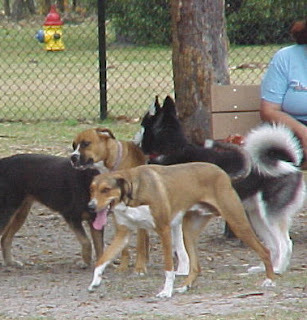 So check out the “Ask the Vet” archives from August 11 called Natural Remedies for Doggie Diarrhea so in case there’s a next time, you’ll be prepared -- just like a Boy Scout.